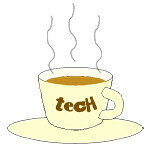 Hua Hin « Tech bytes for tea? We were walking around our hotel in Hua Hin, Thailand and admiring the aesthetic decor all around us, when we came across these wall flower arrangement. Loved it! Here are some flowers decorating the walls along the walls of the garden. So creative. Photo taken with the Olympus OM-D E-M1 mirrorless interchangeable lens camera with Olympus M.Zuiko Digital ED 12-40mm f2.8 PRO lens. Photo credit: John Tan. Door flower, wall flowers – so much nature and creativity all round. First thing I did when I exited the gates in the Arrival Hall in Suvarnabhumi Airport in Bangkok was to get myself a pre-paid SIM card that gave me a local number for voice calls and seven days of mobile data broadband at 299 THB. The truemove shop is one of the first things you come across when you exit the gates at the Arrival Hall at Suvarnabhumi Airport in Bangkok, Thailand. Immediately after exiting the gates in the Arrival Hall, you’ll come upon this telco shop that sells pre-paid SIM cards, as well as other mobile plans. The 7-day prepaid SIM card offered by True Move is one of a few pre-paid mobile plans available in Thailand. This package bundles 7 days of unlimited data, free call credits of 100 THB and incoming call, your own local number, attractive international call rates – all for 299 THB or approximately S$12. Here’s where you can grab an affordable and convenient pre-paid SIM card that gives you mobile broad band as well as voice calls, and a local number. I’m here for seven days, so I was delighted to grab the 7-day SIM card that costs 299 THB, or S$12. You get seven days of free broadband mobile data as well as 100 THB of free call credits, which gives you 100min of local talk time at 1 THB/minute. The seven days are calendar days and includes the day you bought the card, ending at 2359hrs on the seventh day. What I found useful was not only the free call credits but having a local number that you can give out for others to contact you via local calls. My wife can now call me at local rates, through her autoroam. Otherwise, she would have to make an overseas call just to get me on my Singapore mobile number – you know sometimes we get separated in crowded places, or we deliberately split up to visit different shops etc. It’s the year-end school holidays and the family decided to take an impromptu short break to Thailand for a week. Welcome to the Land of Smiles. Here the welcoming facade of our hotel in Hua Hin, Thailand. We’d initially thought about going to Krabi but it looked so crowded in photos on the Web that we decided to choose somewhere that’s more “off the beaten track”. So we settled on Hua Hin, a popular weekend getaway for the local Thais in Bangkok. Time for relaxation. Laidback sculpture in the gardens of our hotel in Hua Hin. It’s a two-and-a-half hour drive from Bangkok and four-plus-hour journey by train or bus.